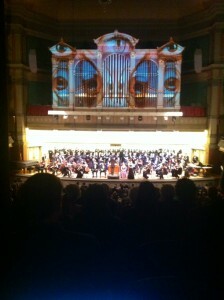 AV Equipment Rentals Albany NY | Audio Visual Equipment Renting Albany NY | Technical Video, Inc.
Technical Video Inc. assisted in creating a unique visual experience for the audience of “Requiem Reimagined,” a performance by the Albany Symphony Orchestra at the Troy Savings Bank Music Hall. TVI’s Eiki LCD Projector was used to project vivid images and video on to the Music Hall’s massive organ pipes above center stage. The Eiki LC-HDT2000 LCD Projector provides 15000 ANSI Lumens of brightness in a native resolution of 2048×1080. 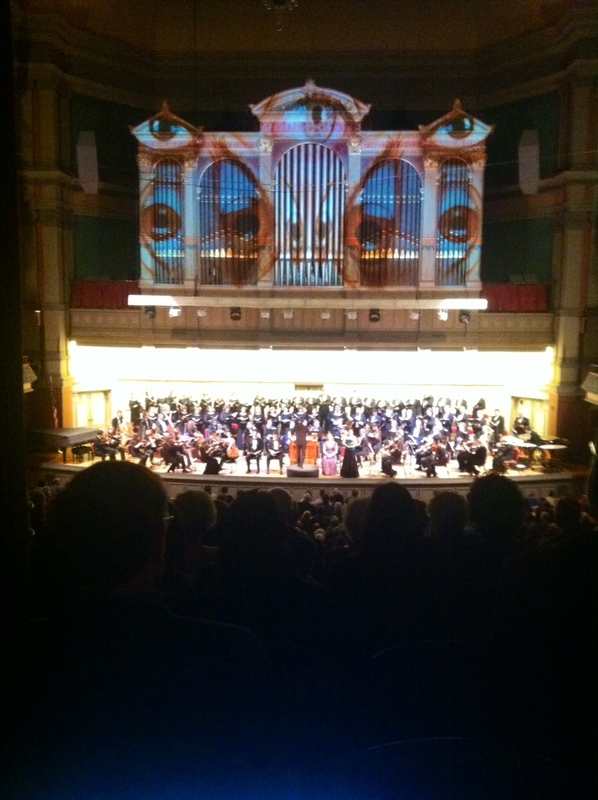 The result was a dynamic visual effect that complimented the Albany Symphony Orchestra’s imaginative performance of the Mozart Requiem. Please contact TVI at 518-867-3020 for more information about the Eiki LC-HDT2000 LCD Projector and all of our audio/video presentation equipment.